Last month I had the opportunity to speak at the TCA WorkForce Builders Conference. This inaugural event brought industry leaders from across the country to share insights and best practices around the topics of recruitment, retention, and fleet management strategies. The conference was jam-packed with great ideas, especially considering that the event spanned just two days. Here are some of the highlights that stood out as best practices for the trucking industry. Social media is critical for recruiting. In the past, social media was a “nice to have” in recruiting. But as digital marketing executive Patty Cox mentioned in her keynote address, social media is now required as part of an effective recruiting strategy. Social media isn’t just for white collar jobs—there are more than 500,000 driver positions posted on LinkedIn alone! She also stated that one in five candidates said that they applied for a job that they learned about via social media. Q: What keeps you loyal to a company? A: I feel like I have a voice. I feel like my company listens to me when I share my ideas. Q: What would make you leave your company? A: Not being heard. If I didn’t hear back from them about an issue, I’d go somewhere else. This driver’s responses weren’t unusual—in fact, they reflect data we see when we conduct surveys for our clients. Indeed, listening to employees is a powerful tool; it can be even more effective when you gather feedback not just from one driver, but from the entire driver population via a survey. Prevent disengagement before it starts. In the session, Driver Managers: One of the Strongest Tools in Your Retention Toolbox, Jeremy Stickling, Director of HR and Safety for Nussbaum Transportation, and I shared research and firsthand experience around the role driver managers play in engagement. 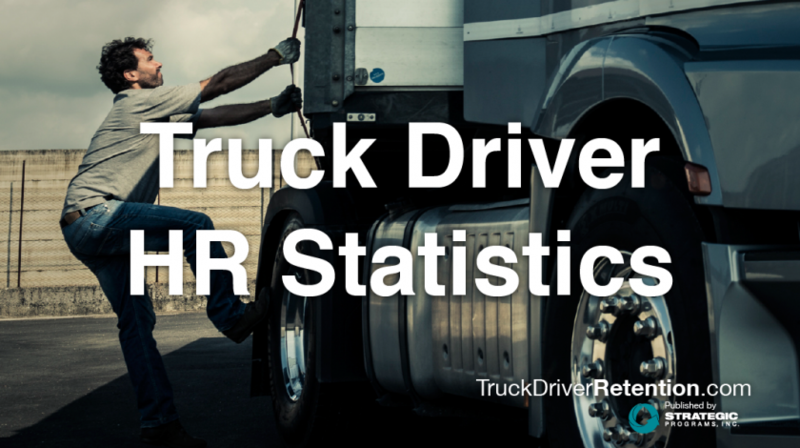 On average, driver managers typically manage 40-50 drivers, sometimes more. With so many drivers to oversee, it’s difficult to focus on building strong relationships with individual drivers. In those situations, it’s easy for disengagement to go unnoticed and unaddressed, and as a result drivers decide to leave. One way that Nussbaum Transportation has tackled this issue is by ensuring that managers have no more than 30 drivers to manage. With a smaller group, the fleet managers are now able to coach drivers, help with issues and even empathize with what’s going on with them. By having a solid relationship with a driver, a fleet manager has more visibility to what might have changed for a driver over time. Maybe a driver has started a family and more home time has become more important than when the driver started. Or maybe a driver is getting more CSA points; a manager has more time to ask questions and learn what might be causing the safety issues. In either case, the manager is more aware of what’s going on with the driver and can prevent disengagement before it starts. Whether you were a recruiter, a fleet manager, or even a driver, this year’s WorkForce Builder’s Conference had something for everyone. Each session I attended illustrated the many positive changes in the ways we recruit, retain, and train talent in the trucking industry. One thing is for sure: the future holds great potential for drivers, fleet managers, and trucking organizations.